Sharing what I discover and my thoughts on them. Technology has disrupted many industries – news, music, TV – and the movie industry is no exception. As more and more people consume entertainment content online through their laptops, tablets and mobile phones, cinema chains have to constantly innovate to stay competitive and appeal to an audience that is spoiled for choice. One approach could be to offer a bare-bones offering at a very low price and become the AirAsia of cinemas. The other way is to double-down and offer luxury and amenities that will making going to the cinema a whole different experience. 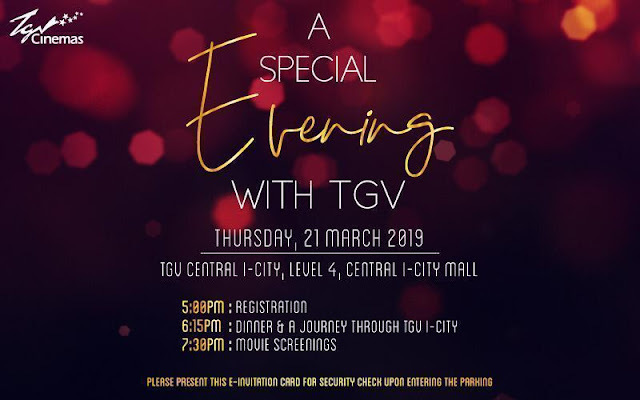 This is what TGV, the leading local cinema chain, has been doing. It’s been gradually upgrading many of its cinemas and has just opened its largest (nine halls, with a total of over 1600 seats, spread over 5500 square metres) cinema at the new Central i-City Mall in Shah Alam. I was there for the opening. It’s also its most technologically advanced one to date, with immersive sound systems, state-of-the-art screens and luxury seating with generous legroom. And speaking of luxury, it has a Royal Selangor shop that sells movie-related collectables, two spacious lounges and an event space. For consumer convenience there is Wi-Fi, mobile phone charging stations and self-service ticketing machines. Normally recording video at a cinema is a big no-no (you will get arrested for that!) but the grand opening was an exception and I was allowed to shoot freely, even inside the cinema halls. It was a bit noisy throughout but check out the visuals! To cater to the entire family, especially those with small children, there is the Family Friendly Hall which has a children’s activity room attached to it. Inside the theatre hall, there will be a mix of family lounger (for the parents and two children), deluxe seats, colourful children seats and loungers situated just below the screen. The restroom is also children-friendly. The main feature of the Deluxe hall features are its premium gliding seats that are very wide and super comfortable. A total of 160 seats in all. The Samsung Onyx hall features the largest Samsung LED cinema screen in Southeast Asia, offering top-notch visuals with superb colours. Really ideal for watching those movies with lots of special effects. If you like the IMAX experience, you will love the massive IMAX hall here which features a premium seating and a floor-to-ceiling screen. Coupled with a superb sound system, it will give you a total ultimate immersive cinema experience. So, will all these luxury halls cost you and arm and a leg? You’ll be surprised to hear that tickets start at RM16 with premium options at around RM20. Too good to be true? 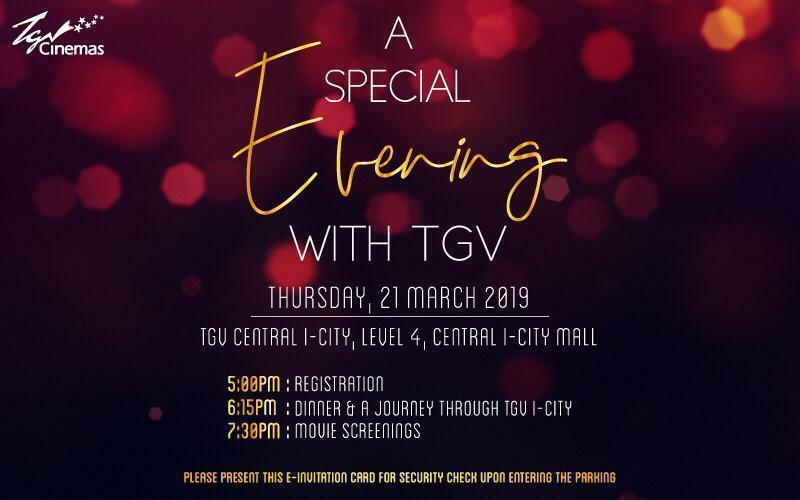 It’s worth making a trip to TGV at Central i-City Mall to experience it for yourself. Who the heck owns this blog? Oon Yeoh. Awesome Inc. theme. Powered by Blogger.